by John Davies (a.k.a Shedman), a member of the Society. Samuel Johnson can seem a remote and distant figure, a grumpy old white bloke from the eighteenth century. Yet a young Spanish musician Vanessa Vie from Asturias accompanying Michael Horowitz at the celebration for Lee Harwood, told me how much she rated Johnson. And the next day on Radio 4’s World at One, there was a news item about Yazidi migrants trying to get to England, one of whom was a big fan and quoted – “If a man is tired of London, he is tired of life.”(30’ 30” in). 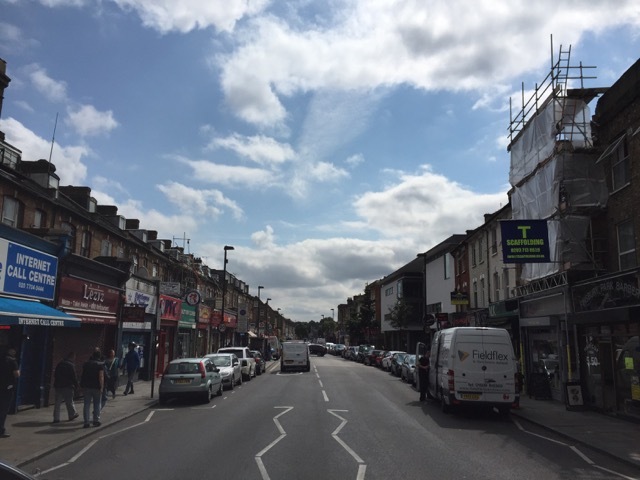 Behind this busy street in North London, not far from the famous Arsenal Football Ground, in the hidden garden of a two hundred year old cottage, a small group of dedicated enthusiasts is meeting with the builder of a sweet chestnut reconstruction of Dr Johnson’s summerhouse. 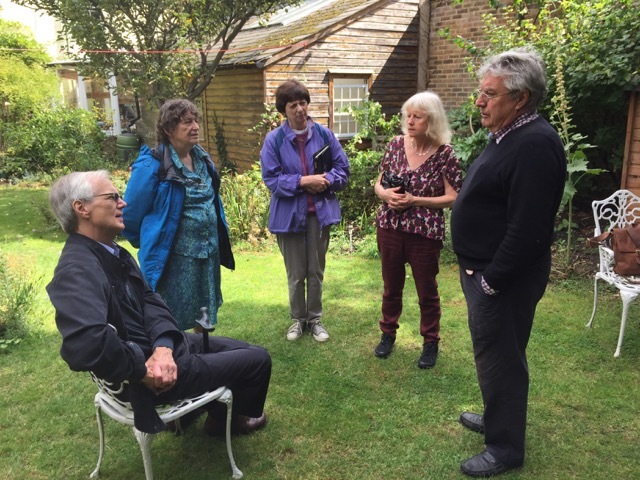 The small group of visitors had arrived on the 20th August courtesy of the Johnson Society of London who had been alerted to the reconstruction by an article in The Author by poet Shaun Traynor. 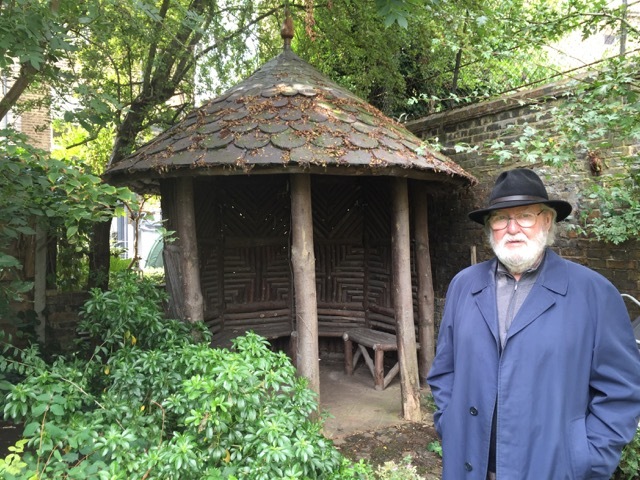 The builder, artist Alan Byrne, used to enjoy tranquil time in the gardens of Kenwood House, sitting in the original. “It was like going to church,” he says. Then it burnt down. “I was very angry and upset,” Alan continues. “Some years later I had a redundancy payment of around £800. 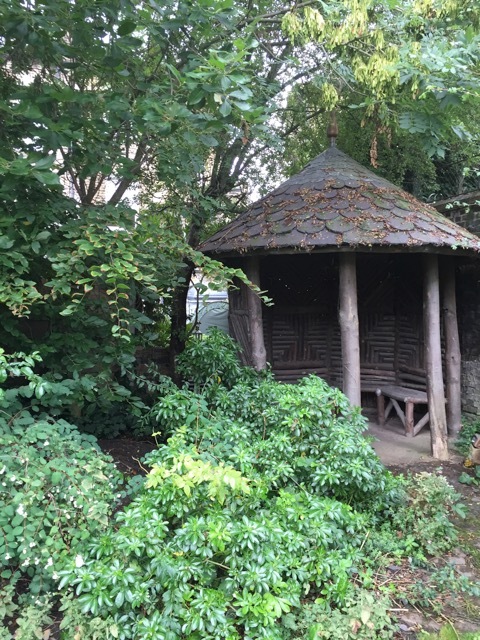 Rather than frittering it away, I decided to to reconstruct the summerhouse in my own garden." He researched and obtained detailed plans from Kenwood and elsewhere. He decided to use pollarded sweet chestnut which he could buy at 25p a foot from the farms that served the royal parks. In the end he spent over £1200 on the reconstruction. First he created the octagon base using shuttering and over a ton of concrete. Via a very steep learning curve and copying an idea from St Paul’s Cathedral where the dome is supported by a huge chain, Alan worked out how to keep his reconstruction together using internal struts. 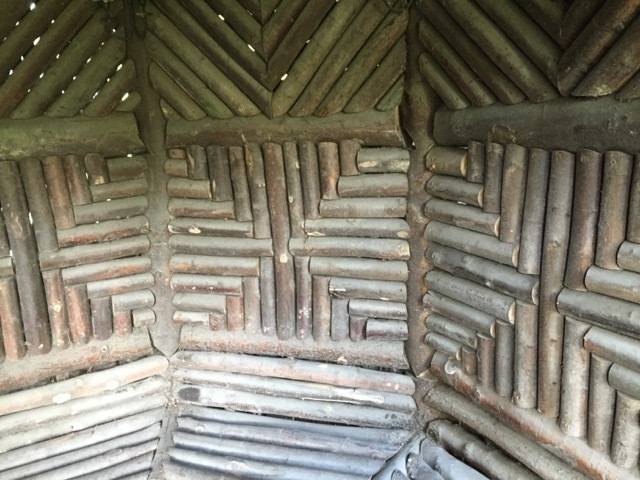 As the cut wood patterns are different on the inside walls from the outside, Alan created a double skinned structure, and each element of the patterns had to be measured and cut individually. 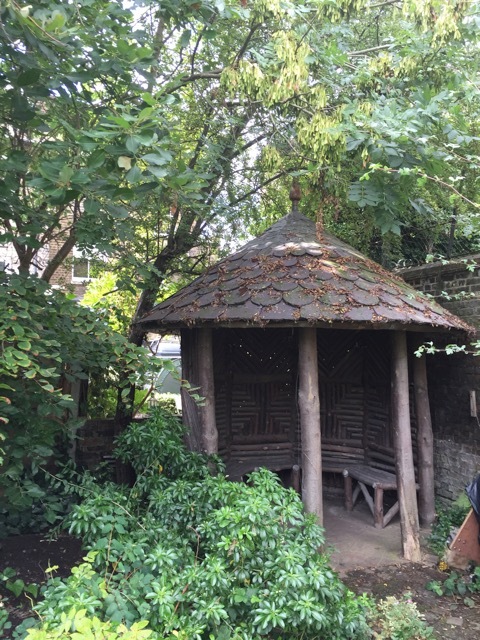 The original summerhouse had a thatched roof, but thatch has been banned as a roofing material in London since The Great Fire of 1666. So Alan knew he would need to find an alternative. (The Globe Theatre managed to get a special dispensation.) One day he found a batch of discarded slates in a skip near his house which he retrieved. To make the look more ‘organic’, Alan rounded the edges, taking twenty minutes to do each one. 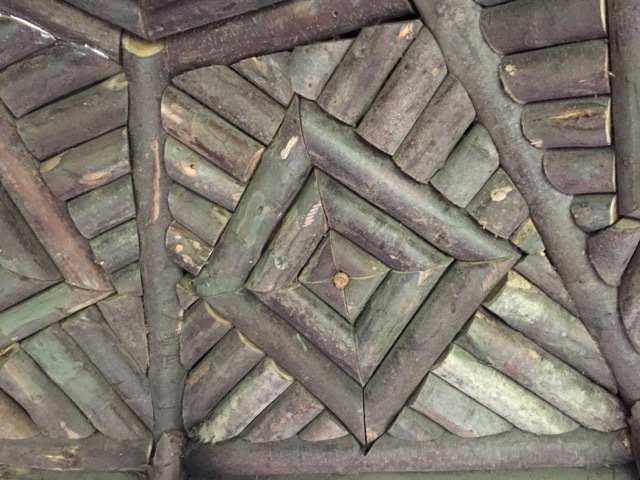 To support the slates he used cut pine laths which he soaked in water and bent to shape. He hand carved the impressive finial in two days from a piece of hardwood sill. 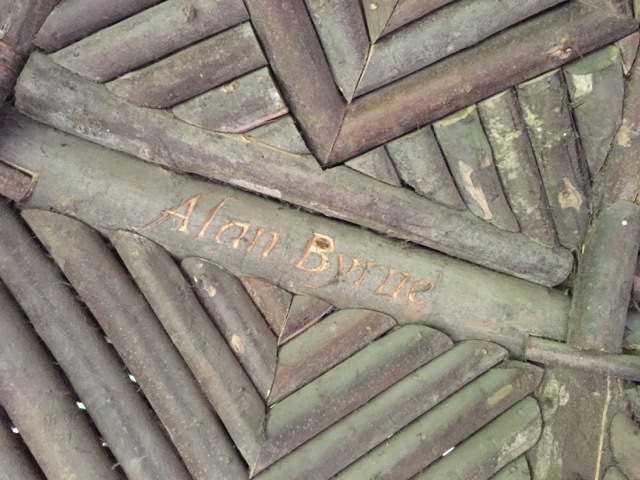 Alan Byrne - for posterity! 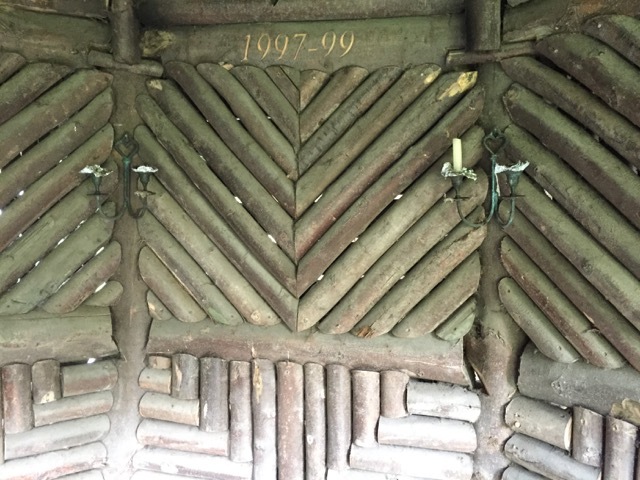 Overall, the reconstruction took 650 hours from 1997-1999. 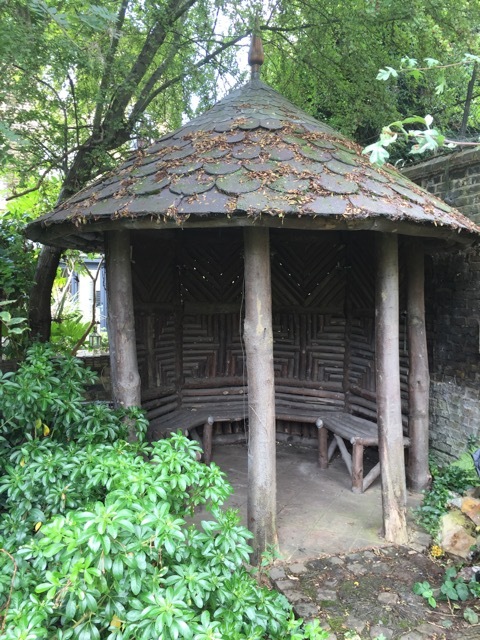 It’s approximately 80% the size of the original, which was first built in the gardens of Streatham Place, the home of brewer and MP Henry Thrale and his wife Hester. 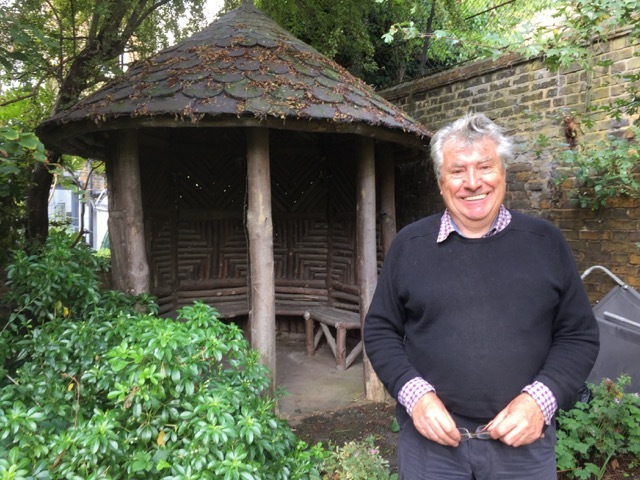 Samuel Johnson was a frequent visitor and he loved to work in the the summerhouse, which is why it became known as Dr Johnson’s. 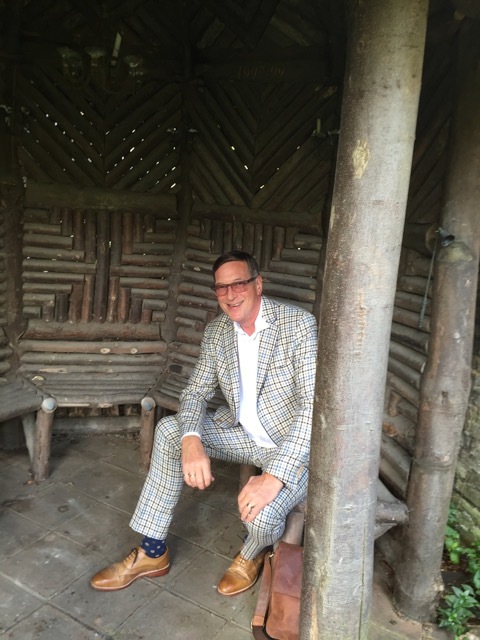 (John Davies of the Society) enjoying a sweet chestnut moment. 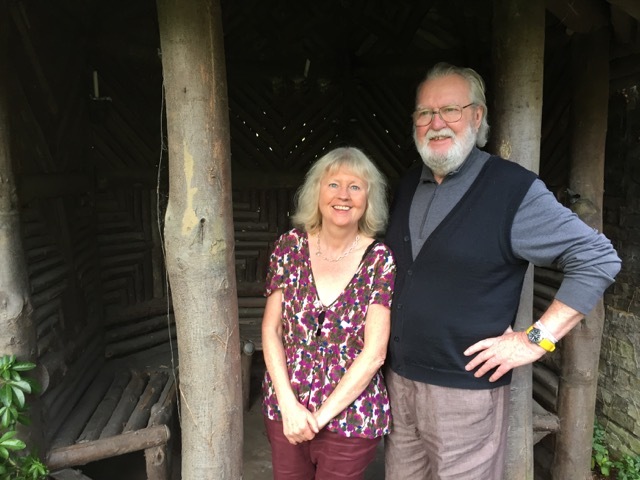 Ursula and Shaun Traynor, the poet and author, whose article about Johnson’s summerhouse in The Author generated all the interest. 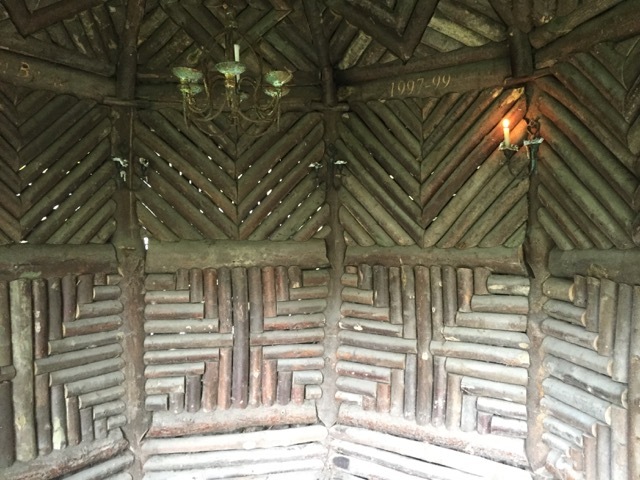 Inside view of the summerhouse. Shaun Traynor, poet and author of the article in the The Author magazine. 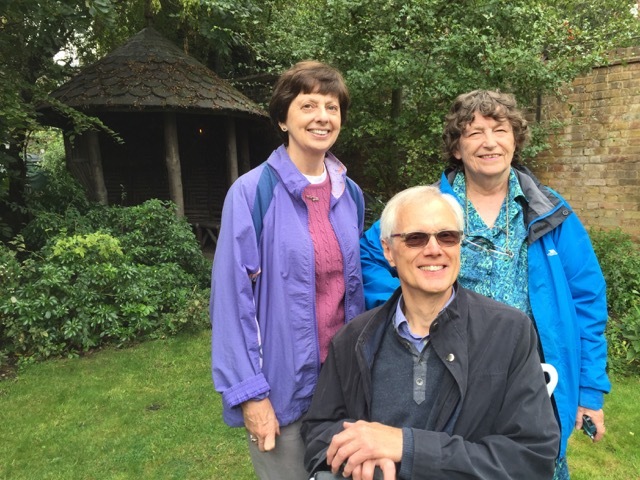 Thank you to Alan Byrne for entertaining visitors, to Shaun Traynor for the original article, and for John Davies for this narrative of the visit.